A special thank you to Lorna Wallace, who planned the recent CGS field trip to the Bancroft Library on the UC Berkeley campus. This wonderful repository is one of the largest and most heavily used libraries of manuscripts, rare books, and unique materials in the country. It is not primarily a genealogy library but has much to offer the serious researcher. It focuses on telling the history of California, the West, and Latin America from a broad perspective. The library’s collection includes the original Spanish land grants for the state, including the Luis Maria Peralta land grant that included Oakland. 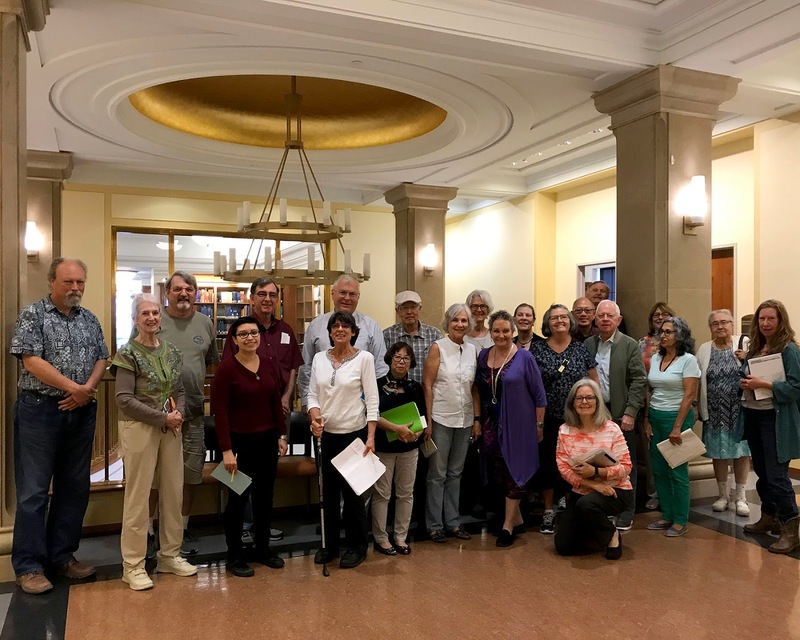 Two archivists hosted a group of about 25 CGS members. They displayed historical materials for us to explore in two separate rooms. They gave our group a good introduction and history of the Bancroft collection and explained the process of finding and gaining access to research material. Visitors also enjoyed browsing some of the Bancroft’s permanent exhibits, including taking selfies with the life-size cutouts of women who played a significant role in California’s history. If you live near Berkeley, take advantage of this world-class archive. If you’re farther afield, the Bancroft is well worth planning a trip. Information provided by Chris Pattillo and Lorna Wallace. Photos by Chris Pattillo and Vicki Contente.